Create a customer-facing webpage with messaging to highlight the benefits of Bank of the West’s newest mass market banking product, Any Deposit Checking. Create a customer-facing webpage with messaging to position Bank of the West within the mid-sized bank market and answer any prospective customers’ questions about what sets the bank apart. Create a customer-facing webpage with messaging to highlight the features of Bank of the West’s mobile banking capabilities. Create a customer-facing webpage with messaging to highlight the features of Bank of the West’s online banking capabilities. Create a customer-facing microsite with messaging to market the cost-saving features of the three Western Union subscription packages. Develop an online experience that enabled PayPal sellers to lift “restrictions” by photographing, uploading and emailing digital images of requested documents to PayPal. Develop an online experience with messaging that introduced to PayPal sellers the site’s new look, enhanced account features and improved navigation. Create a member-retention online newsletter for restaurant owners to reinforce the benefits of being a Restaurant.com participating restaurant. 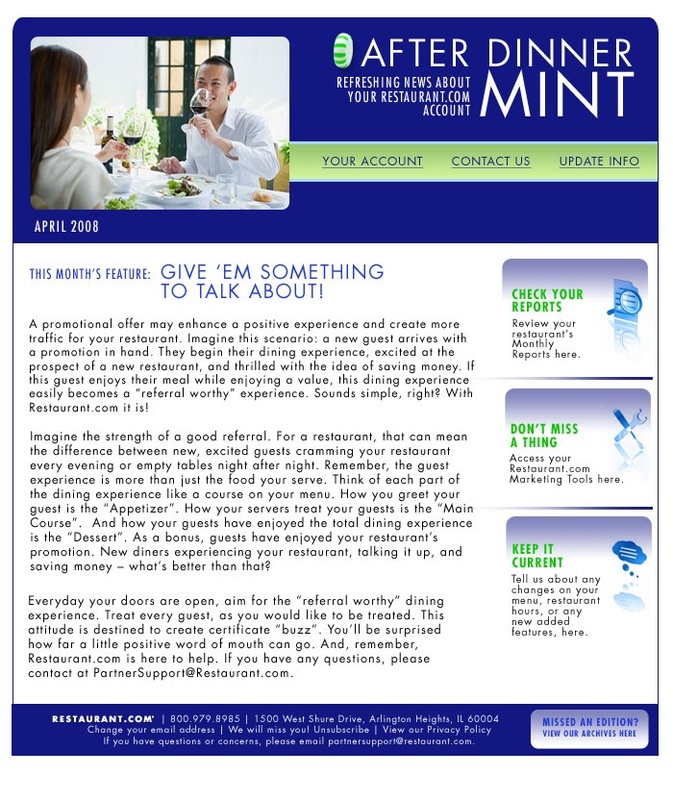 Create an online newsletter for Restaurant.com customers to provide news bits about current dining trends and entice customers to explore a new cuisine and experience a new restaurant. Create an internal newsletter for Restaurant.com employees to provide them with information about the RDC’s latest innovations, marketing efforts, new hires and benefits enhancements. 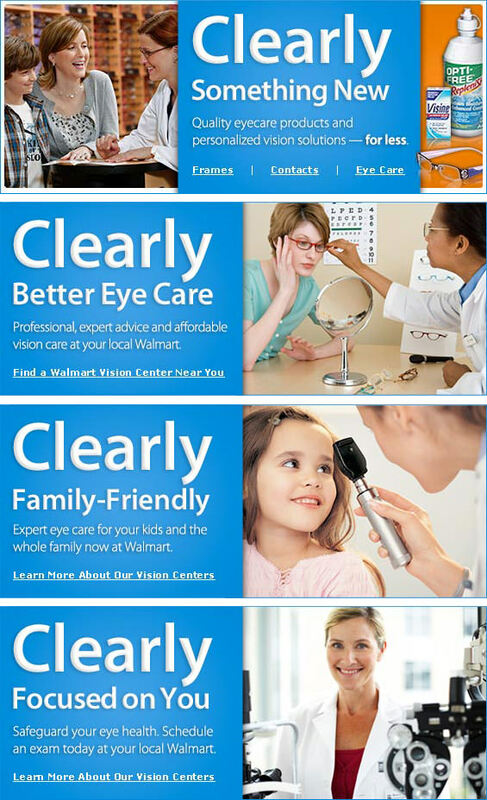 Create a series of engaging online banners designed to drive foot traffic to Walmart’s in-store vision service centers. 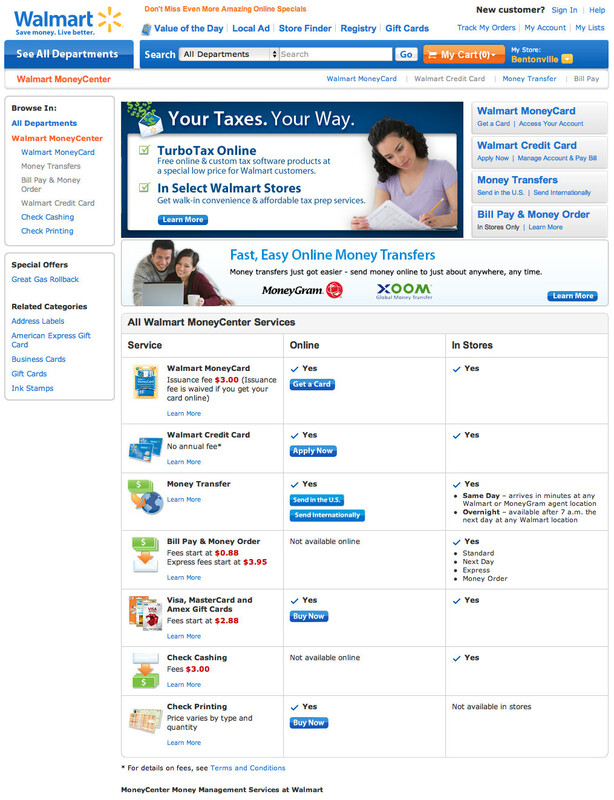 Create a landing page designed to drive foot traffic to Walmart’s in-store tax prep services or to drive customers to purchase TurboTax® tax preparation software. Create a microsite designed to inform and assist customers in selecting the proper floor care product based on their particular needs, lifestyle and budget.